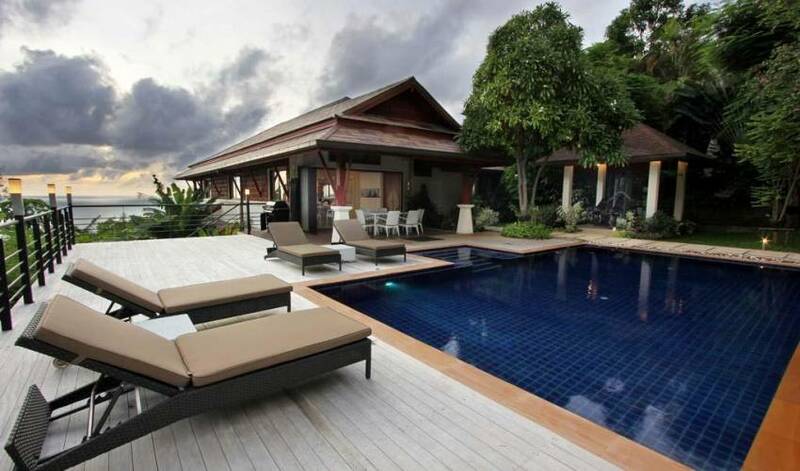 Stunning 5 Bedroom Villa with sea views looking out over the Andaman sea. 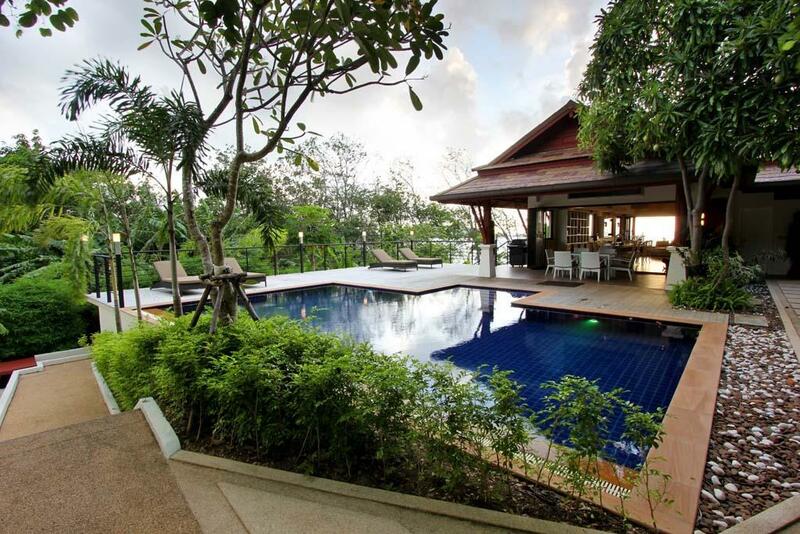 The villa is located in one of exclusive private estate in Patong, a peaceful orchid plantation nestled high above Patong, Phuket's most popular tourist resort. 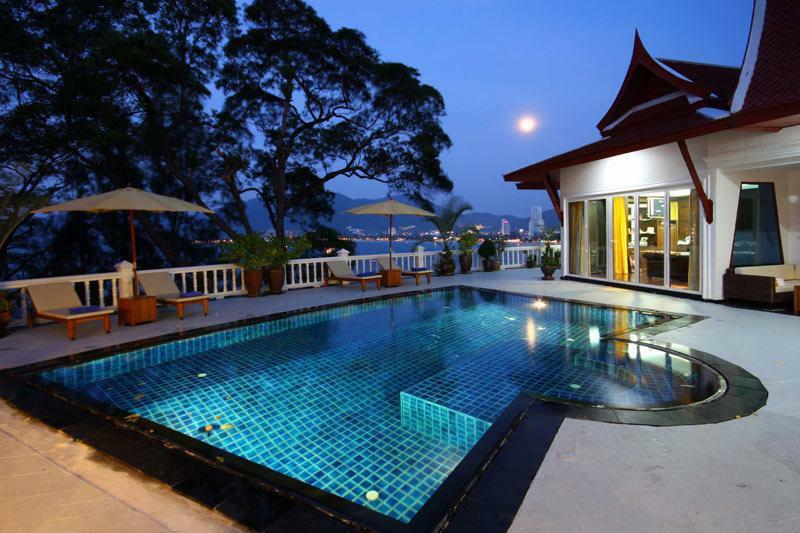 The villa is ideally positioned towards the sunset over the beautiful bay of Patong. 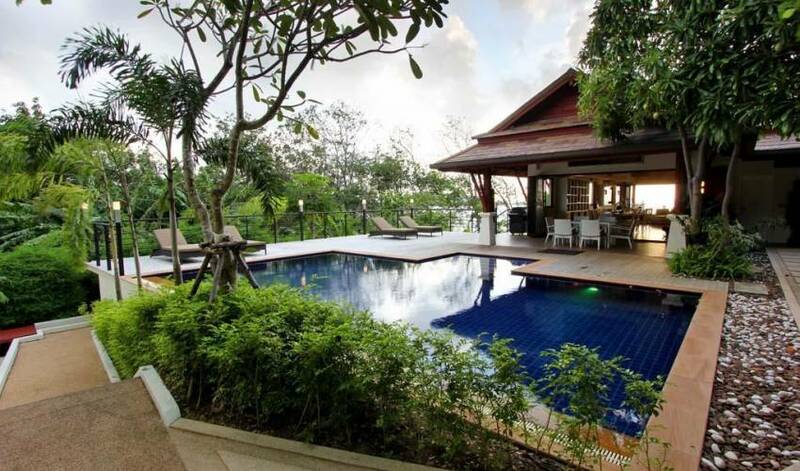 Renting this villa, you will experience truly luxurious accommodations with the very best views available to create the ultimate Phuket holiday experience. 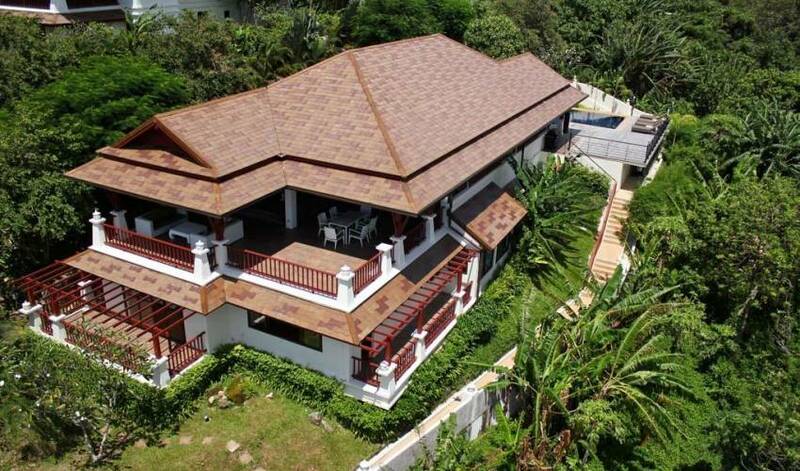 Rim Pa Patong provides true luxury whether you decide to come with friends or family. 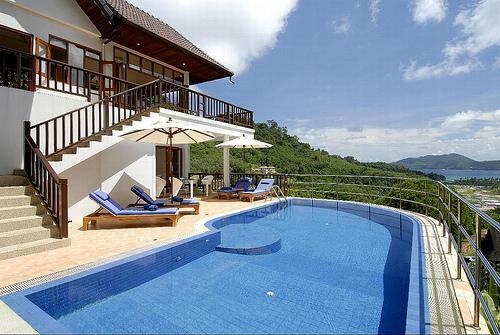 All five bedrooms are on the lower floor while the living areas are at the entrance level. 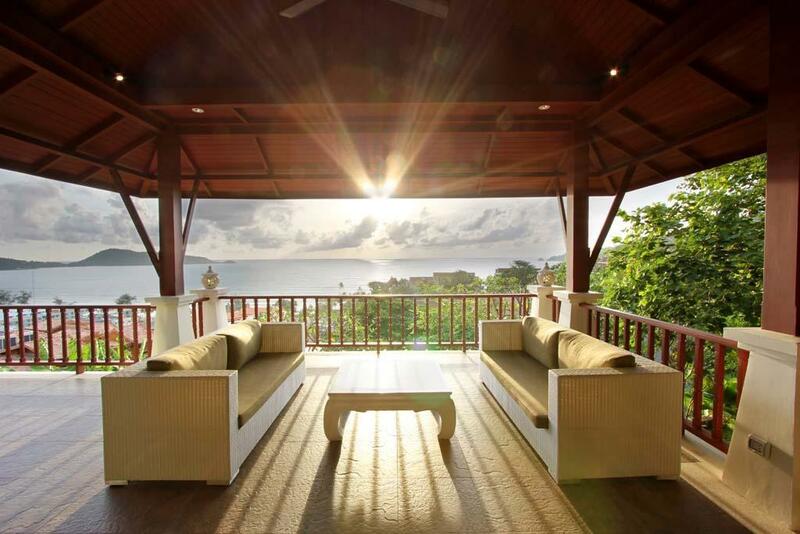 This provides an ideal setup for an endless sea breeze to flow through the entire length of the villa. The dining room can sit 10 people comfortably. We propose indoor and outdoor dining areas. 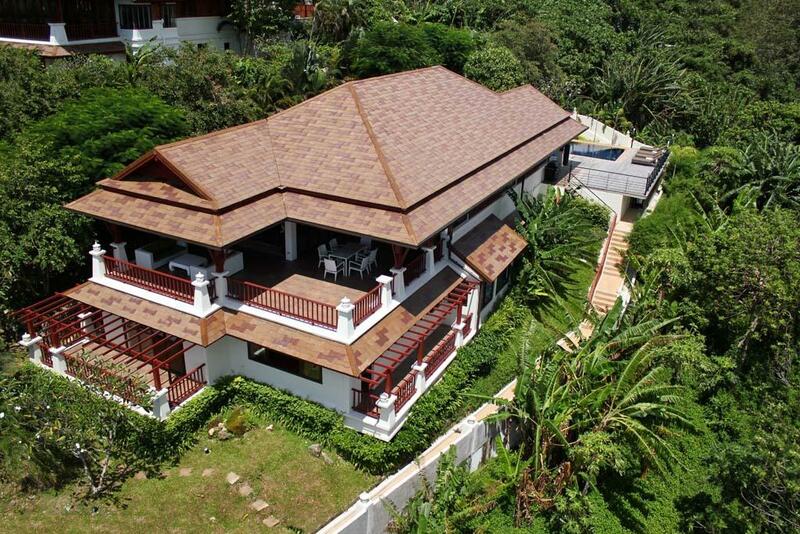 Rim Pa Patong offers 5 bedrooms for a capacity of 10 people (including children). There are 4 queen-size beds and 2 single beds, which can also be joined together. 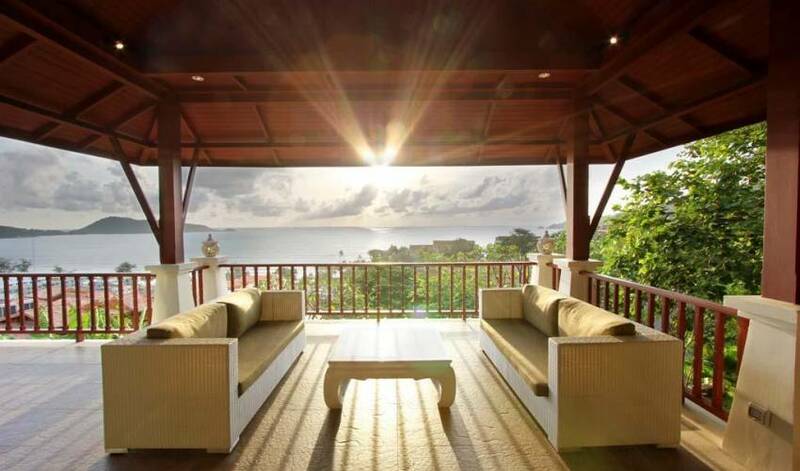 3 of the rooms have private balconies with uninterrupted panoramic views of the Andaman Sea. There are no photos of the second sea view room as it is still currently an office but will be transformed with an en-suite bathroom added before the December opening. Western-style and fully equipped kitchen. When catering or in-house cooking is requested, the staff will use the what is locally known as a "Thai" or dirty kitchen in the back. Bose Audio system with Sonos wireless system is in all areas of daily life, such as living room, dining room and terrace. You can even connect your own iPod to the house audio system. The media room offers a comfortable setting for evening movies or anytime playing on the Playstation 3 system provided. All this are on a large Samsung LED TV with a Bose sound system. Linen is changed every 3-days (or on request). 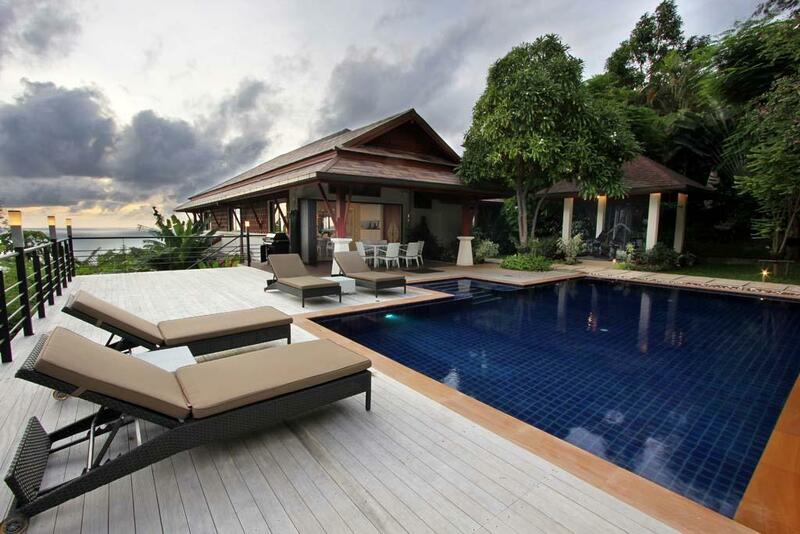 To compliment the luxury villas the management offers a wide range of in-house services. Daily cleaning services are standard, however we can arrange more frequent or full time staffing if required. 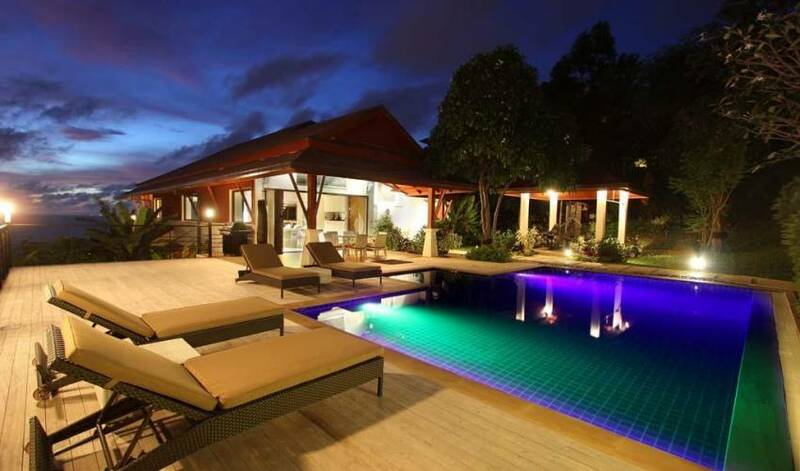 Guests can also choose to have a private cook or chef in the villa, or else catering can be arranged to whatever level of service the guest desires. Childcare is available for parents who need some quiet time. The estate management centre will also provide tours and travel assistance from sourcing day-trips to making flight reservations. 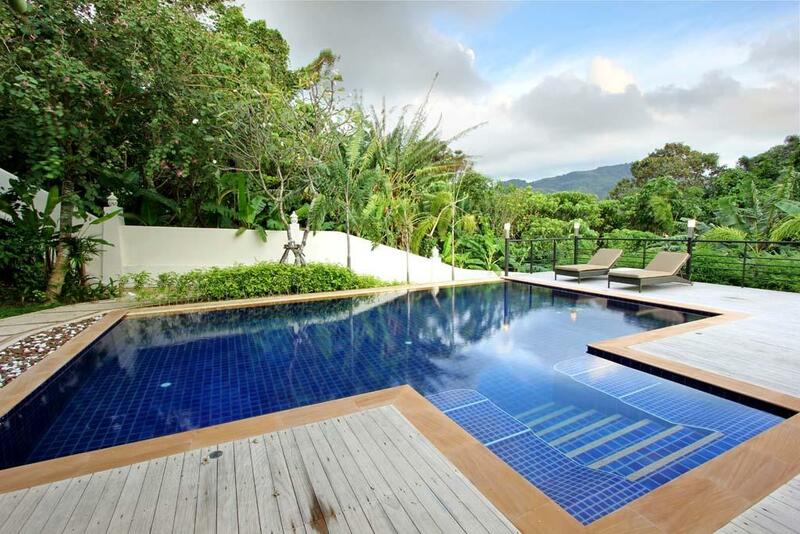 Transportation can be arranged at the management centre; a car with or without driver or a van with a driver to chauffeur your group between Phuket’s many attractions. The villa has its own car parking area and additional parking spaces can be found at the estate entrance, in order to limit traffic movement. There are private golf carts to transport guests from this parking area to the villas. 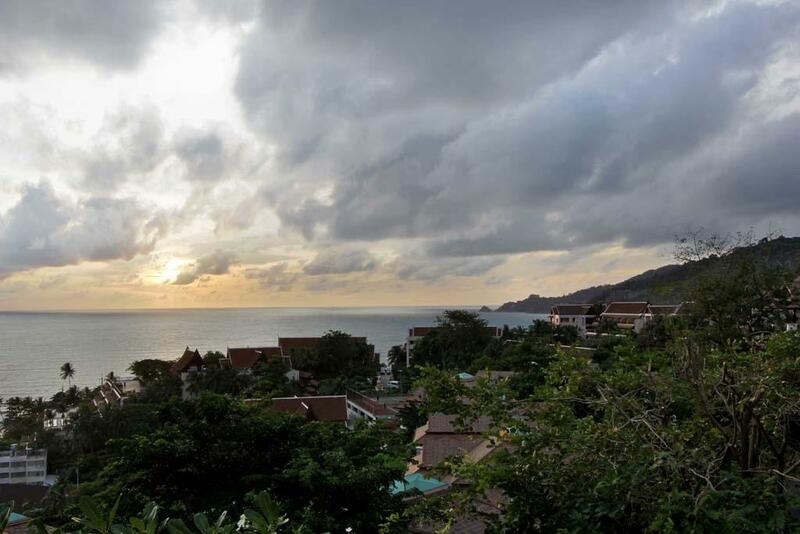 These luxury carts are available 24-hours to transport guests between the estate, the beach and Patong hotspots. 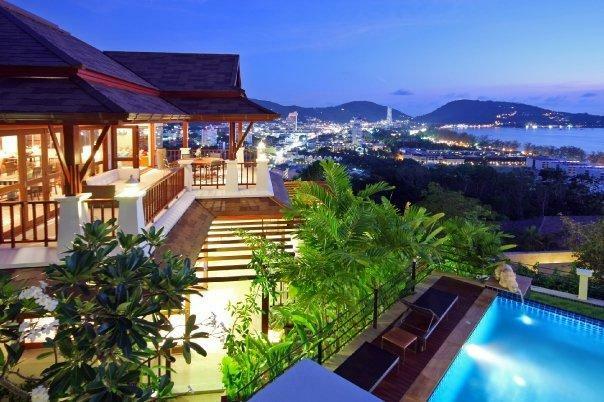 Walking distance from Patong yet far from the bustle, Villa Vanda is ideally located on the hilltop overlooking the whole of Patong Bay. 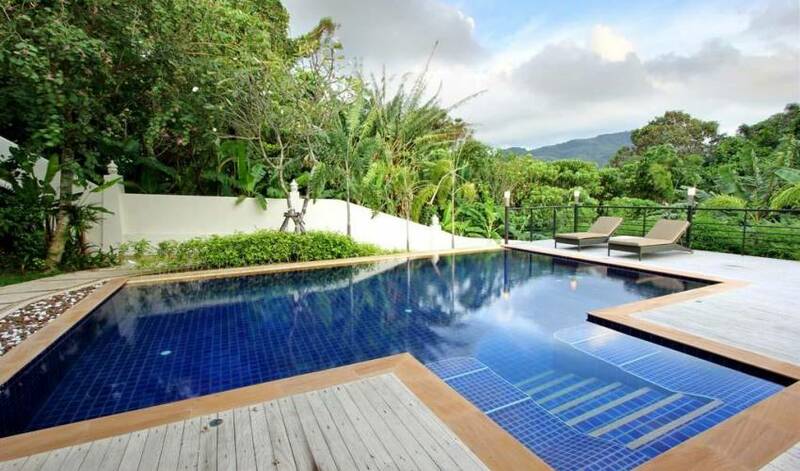 Not five minutes’ walk from the thrilling resort of Patong, the villa rests peacefully on a hillside with an elevation that affords fresh sea breezes and spectacular scenery. 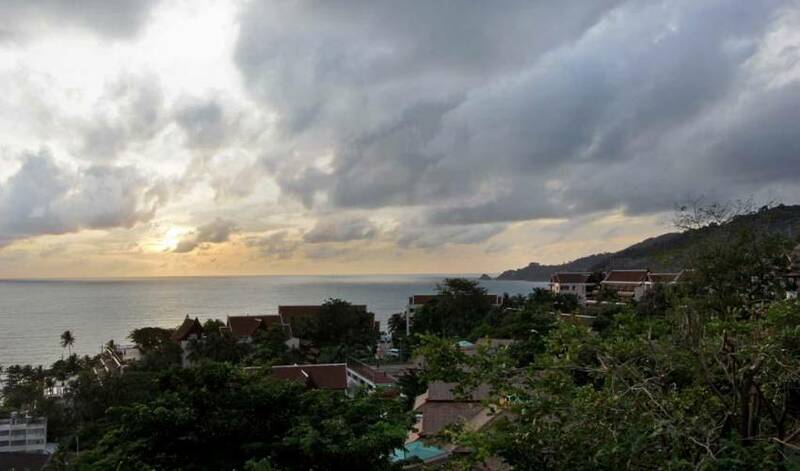 From a full west to south-west facing position at the northern end of Patong beach, most of the villas enjoy 180 degree panoramas of the entire Bay and Phuket’s famous sunsets 365 days a year. We stayed here for 2 nights and the experience was great! 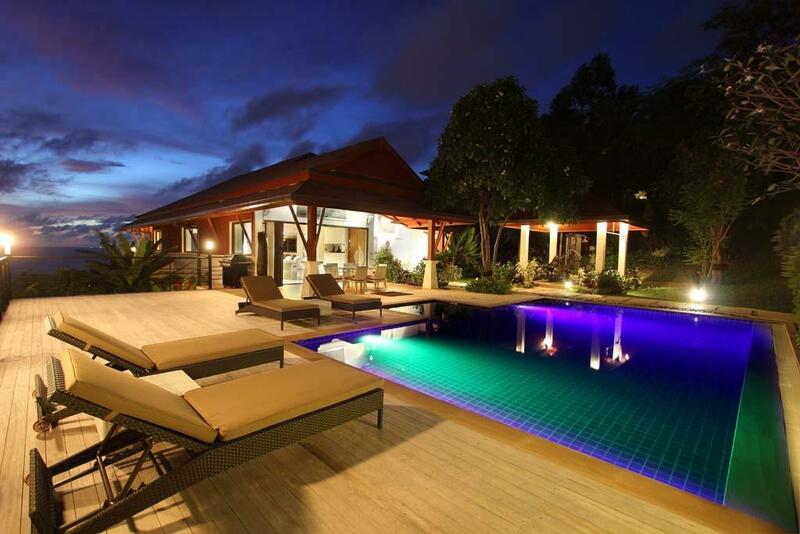 The villa is spacious and modern with huge rooms, a private pool, jacuzzi and a pool table. Being a group of gals, Kai, our butler took great care of us. He took the effort to chaperone us in Bangla and make great recommendations on eating places. The in house dining we had was also fantastic with food that was reasonably priced and huge servings. All in the experience was great and I would recommend this to my friends for future stay!